The biggest challenge for every business, no matter how large or small, is reaching out to the right prospects who have a need for their products or services. That explains the ever-increasing expenses incurred by businesses on sales lists that seldom deliver on projections. Allied Infoline makes that a thing of the past. 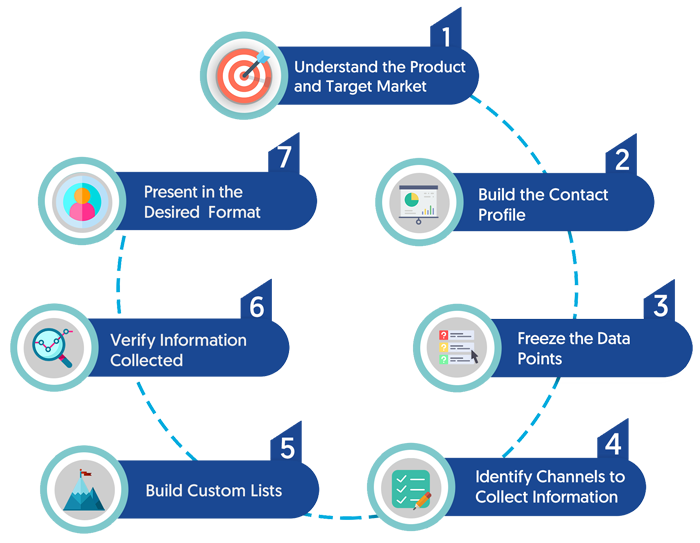 Equipped with a deep understanding of the B2B domain and cutting-edge technology, we are ideally positioned to create highly targeted customized B2B sales lists that not only get the job done, but supersede client expectations on various fronts. We, at Allied Infoline, acknowledge that every business is unique and so are its needs when it comes to sales data. That is why we invest countless hours to understand the dynamics of your business and its target audience, before devising a tailored list-building strategy comprising the most efficient and cost-effective channels. The data collated is then presented in the format required by the client. We, at Allied Infoline, understand that choosing a list building company is a critical decision for your business, which is why we are always happy to answer any questions or concerns you may have. To learn more about our B2B list building services or discuss your requirement, fill out our contact form and we will take it from there. You can also write to us at sales@alliedinfoline.com.